I have used the term “microorganisms” repeatedly in this section as an umbrella term for all the microscopic critters that work to break down plant material eaten by deer. There are, however, actually five groups present in the reticulorumen. Collectively, bacteria and protozoa account for 40% to 60% of the microbial mass and, while bacteria do most of the digesting, the protozoa eat the plant material and degrade the major plant parts; protozoa also help regulate the gut bacteria population by grazing on them. In recent years, there has been much research on the microbial communities of ruminants and there are now more than 50 genera known from ruminant digestive tracts. Along with bacteria and protozoa are fungi, which contribute up to 10% of the microbial community, depending upon the fibre in the diet, and are important digesters of lignin and hemicellulose. Archaea (about 3% of the microbes) serve to reduce gaseous build-up by converting methane to carbon dioxide, which can be transported in the blood to the lungs for removal – methane must be eructated, belched/farted out. Finally, there are the viruses, which aren’t involved in the digestion of plant matter, but to help keep the other microbes in check. It seems that gut microbes can be inoculated (introduced) into the rumen of newborn deer through various processes. Charles Robbins, at Washington State University, reported in his 1983 book Wildlife Feeding and Nutrition, that inoculation of bacteria into the rumen of newborn ruminants is often dependent on the feed ingested by the mother during suckling and the contact the young has with its mother’s faeces. Overall, the microbial community fluctuates with the diet of the host, with different microbes required to breakdown different types of plants. Consequently, a ruminant eating grass as the staple of its diet may have different gut microbes to one that feeds primarily on leaves or herbs, which poses a problem should the main food source disappear. A ruminant that has spent all summer feeding on grass will not have the microbial flora and fauna needed to digest woody material. Unfortunately, the animal doesn’t know what types of microbes it has in its rumen and so will usually eat unsuitable foods if presented with the opportunity, especially if its normal food is scarce. This can paradoxically result in deer starving to death with full stomachs. One additional curiosity of the deer digestive system is the lack of a gall bladder. In most mammals, the gall bladder produces bile salts that emulsify and break down fats. 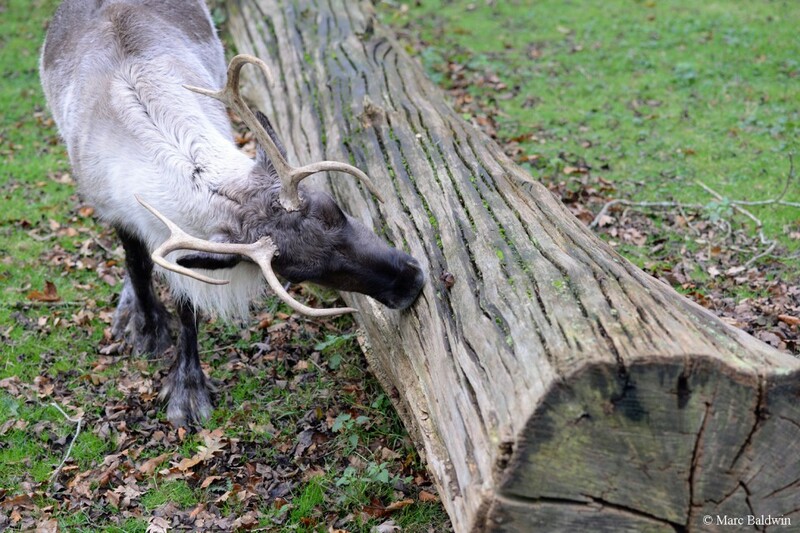 Some authors have postulated that, because plant material is typically low in fats and the fatty acids released by microbial digestion can be absorbed through the reticulorumen, deer have no need for fat digestion. Finally, let us take a moment to consider the need for water. 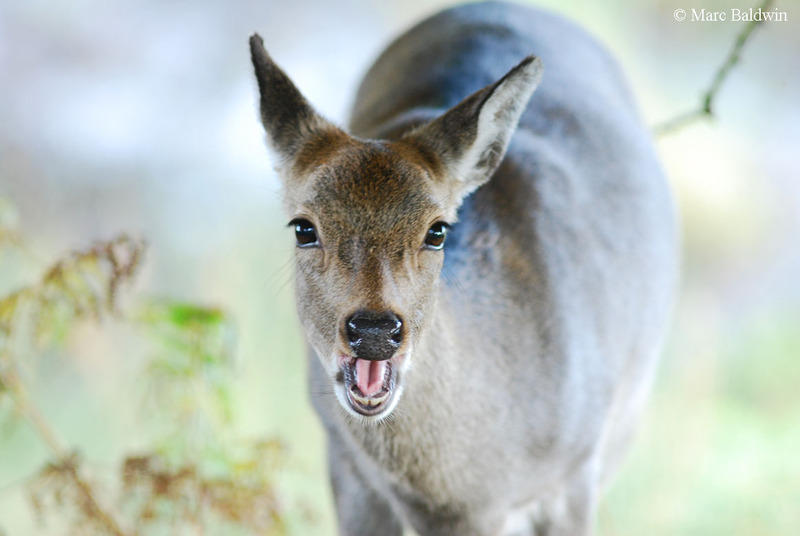 Deer do drink, with species such as muntjac rarely found far from water, but most of the water is supplied in their food. Moreover, ruminants have a highly efficient water conservation technique linked to their ammonia cycle. Simply put, the fermentation of protein leads to the production of ammonia, which is transferred via the bloodstream to the liver and converted to the less toxic waste product urea. The urea is then transferred back to the stomach where it is assimilated (used as food) by the microbes. Recycling urea in this way means that it doesn’t have to be sequestered from the bloodstream by the kidneys and diluted with water to be excreted in urine – this saves a considerable amount of water. Feeding behaviour typically cycles between periods of grazing/browsing and ruminating. There are peaks in the feeding behaviour at dawn and dusk and much rumination takes place during daylight hours.